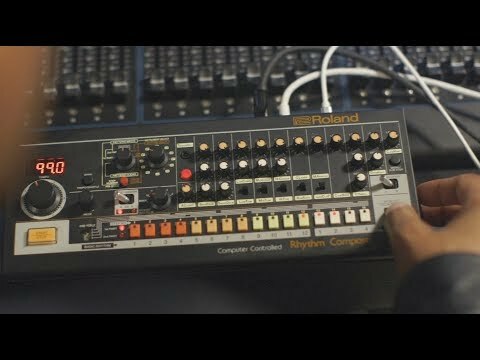 The Roland TR-08 Rhythm Composer is an meticulous replica of the legendary TR-808 which is one of the most famous and influential drum machine ever created. Commonly known as the “808”, it has continued to shape and define entire genres. The TR-08 brings the look, sound, and feel of the original 808 stalwart in a compact and robust package ready for a whole new generation. The TR-08 Rhythm Composer is not close to the real thing... it is the real thing, and as such you can expect all of the odd quirks of how the sounds interact with each other that far surpass simply using 808 samples. However, as synthesis has progressed a long was since the 808's original release date of 1980 the TR-08 also comes with its fair share of modern touches. The sequencer has 16 sub-steps per step, so you can create detailed snare fills and intricate, rolling hi-hats. It also has a track-selectable trigger out for working with other instruments like the TB-03, SH-01A, or other modular gear. A small but clear LED display gives you tempo and shuffle control and of course you get the addition of MIDI over USB too! The Roland TR-08 comes in a compact form and is thus compatible with all of Roland's Boutique accessories. Add to this the inclusion of a built in speaker and battery operation you can make your own killer 808 beats just about anywhere! With all this retro capability and modern flexibility combined in one robust unit, you get to have that original killer 808 experience to integrate into your studio or live rig.